Nico Hulkenberg denied rumours F1 drivers are threatening to strike over unpaid wages but has warned the ongoing issue is "not good for the sport." Reports circulating ahead of the Chinese Grand Prix suggest the Grand Prix Drivers' Association (GPDA), the F1 drivers' union, has vowed action if drivers are kept waiting for their wages. Hulkenberg is still owed unpaid wages from Sauber from last year, while Kimi Raikkonen had issues with his salary at Lotus last season which are reportedly still not resolved. A report this week in Sport Bild claimed Romain Grosjean, Kamui Kobayashi and Adrian Sutil also have unpaid wage issues, but Hulkenberg firmly stated a strike not imminent when asked about it on Thursday. "No, that's not true," Hulkenberg said. "Yes, it is a theme in the GPDA at the moment, we are talking and discussing the unpaid drivers. It's not good for the sport and the pinnacle of motor racing but we've never discussed doing a strike. Of course we want the issue to be addressed and we want it to be improved." Hulkenberg, who said his new team Force India has been "pretty good" with wages at the moment, is confident the drivers need to stick together to find a solution. "I don't know [what the solution is], but that's what we are working on. That's why we need to stick the hats together and try and come up with a solution." After leading Force India's challenge in the opening two races, Hulkenberg saw team-mate Sergio Perez take a podium in Bahrain, a result which still eludes him. 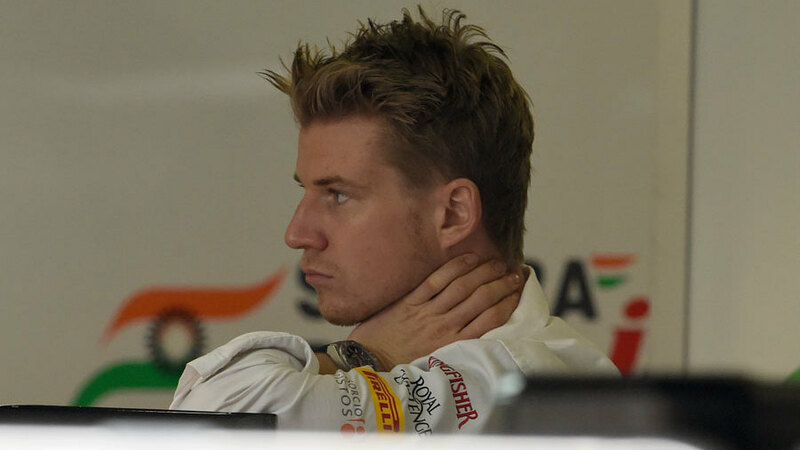 But Hulkenberg is not dwelling on the past and insisted he remains optimistic further chances will come. "Of course I would have liked to have been the one on the podium, but that's racing, that life. I wasn't up there for reasons; I made a mistake in qualifying and therefore wasn't in the best position on Sunday and paid that price in the end. "I'm not too disappointed, it's behind me now and I had a good, encouraging race from 11th. The important thing is that we have the performance in the car and that we're strong at the moment. I'm sure there will be another opportunity for me to stick it up there"